I can't describe how a white button down is essential for my closet. I started wearing my dad's work shirts as long sleeve button down dresses but throughout the years I decided to get some my own size and wear them as shirts like they're suppose to...I guess. 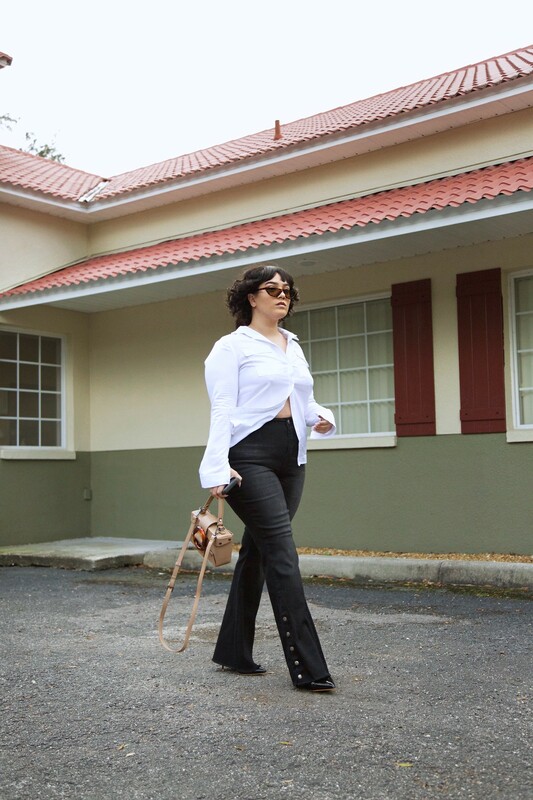 LOL Popsugar featured this look of mine in an article called 51 Easy, Everyday Outfits That Will Flatter Your Curves and Keep Your Style in Check. You guys should check it out. There's some good style inspo in there! I know in magazines they say it may not be flattering for bigger gals to wear flare jeans or whatever but here I am still doing it any way.